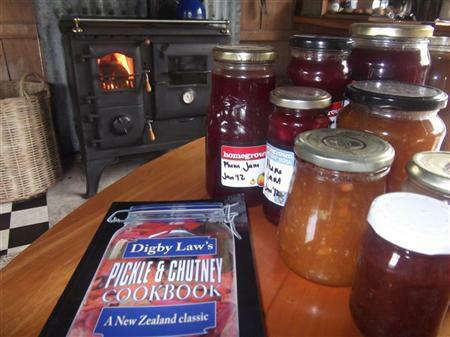 Digby Law’s Pickle and Chutney Cookbook is the most amazing pickle, chutney, relish, oil, sauce, mustard….. book I know! It is a NZ classic (from 1986) and every keen preserver should have one! The thing I really like is that it has the old favourites as well as exotic specialties, and it has such a wide range of vegetables and fruit included – from tomato to choko chutney, pumpkin to mountain pawpaw chutney! Whenever you have a glut in your garden, turn to this book to find out what to do with it. 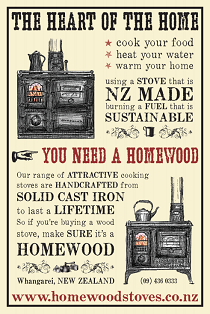 Light up the Homewood and enjoy the wonderful smells that will fill your home!